Voiceover talents love their email blasts. It gets the message out to your “people” and putting a blast together is not terribly burdensome with all the online services available to help (they are not very costly either). Depending on who you speak with, of course, email blasts are either the dumbest or the smartest marketing you can do. I’ll let you guess which side thinks they get better results from their blast. 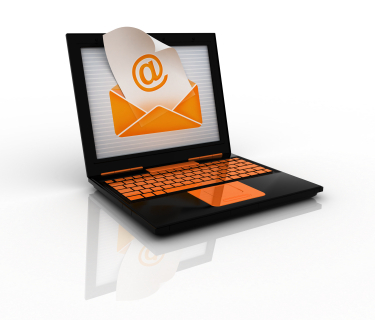 There are two main drivers to a successful email blast: your list and your content. Which is more important? Both. Let’s look at this two ways. Some voice talents write one email message or newsletter and send it to their entire list, without segmenting the list by categories (I’ll explain categories in a moment). This is the simplest way to do email blasts and can work if the message applies to everyone on your list. This kind of blast involves creating an email message to just one portion of your list and sending the blast to them. For example, say you had a great idea for an email blast about your commercial production work. Let’s also say in your database, which you have previously broken up in to categories of people you work with and contact, you had a ton of commercial production contacts. BUT in your database you also had a ton of audiobook producer contacts too. In such a targeted email blast, you would omit the audiobook producer contacts from this specific blast because the message does not apply to them. Which blast is more efficient? Depending on your message, both. But I would suggest that voice talents send more general email blasts because it’s easy and are missing the marketing boat. If you can target a specific message to a specific audience that would benefit from that message, spend the extra time to reach out to the RIGHT people, not just ALL the people. One of the many panel discussions that took place at VO Atlanta talked about Ethics in Voiceover. Fortunately, the discussion was not entitled “In Search of Ethics in Voiceover”. 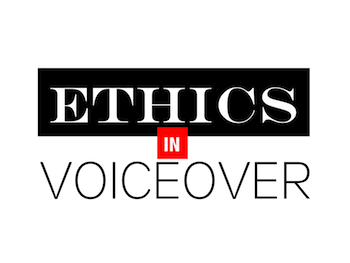 Overall, ethics-wise, I think the voiceover industry does pretty well. Maybe an 80-85 out of 100. Ethics is defined, as you probably know, as being the moral principles that govern a person’s behavior or the conducting of an activity. We all have ethics and morals but differing degrees of each. I did not attend that session because I was doing something else so I cannot give a fair (or really any) representation of the discussion. Those who did attend seemed to enjoy it. One of the panelists during that particular session is a voice talent I have been friendly with for a number of years and who is also a fellow blogger, Paul Strikwerda. According to his published statistics, his blog is much more widely read than mine. Here, I just have you and me, while Paul’s blog is read by thousands. Can’t say as I blame the readers because I’ve read my stuff. Just long winded pablum here 🙂 . So Paul wrote about his experience at VO Atlanta on his blog and also about his answers during the Ethics Panel he was a part of. Having read his responses on the blog, I do not take exception to any of his answers because his answers about ethics come from his perspective and they are his way to approach his business. We all do this individually in every line of work – which is precisely what makes such a public discussion tricky, in MY opinion. But the one question from the panel that Paul highlighted in his blog (I believe he was asked the question, he did not ask it himself) elicited from me a response different from Paul’s. Two people, two perspectives, each right within their own views. Your milage may vary. Consult your doctor before taking any medications. Do voice talent have an obligation to consider the impact of their pricing on the greater voiceover industry? Paul’s full answer to the panelist’s question can be found here, but in short, his answer is yes, talent do have an obligation to consider the impact of their pricing on the greater industry. Peter’s full answer to the question can be found below, but in short, his answer is no, talent do not have an obligation to consider the impact of their pricing on the greater industry. Full disclosure: if you asked ’15-20 years ago Peter’ the answer to this question, I would have said ‘yup, they do…no low balling ever, hurts all of us! End of story.’ I might have even stomped my foot or harrumphed! Possibly both. ‘Today Peter’ still believes that that lowballing is a lose-lose tactic. It’s a poor business tactic that to me shows desperation, a horrible lack of self worth and undermines the low bidder’s professionalism (both real and perceived). So I don’t do it and I don’t think others should either. I’ve said so many times, in many forums. Again, sometimes with a harrumph! But in this panel discussion, the question focused on whether there is an ethical obligation to consider your fellow voice professionals when crafting your own pricing. From a competitive and business standpoint? Sure. From a moral stand point, no. All low-ballers are not unscrupulous opportunists. I know this because I’ve met some of them, spoken with them and heard their stories. One would be unfair, unkind and unprofessional to paint these folks that I’ve met with a broad brush stroke of being sleazy or something worse. But I would generally categorize these low ballers as often (but not always) being desperate, somewhat ignorant regarding business and most surely lacking professional confidence. Those that I have met are guilty on all three counts. Do their actions hurt our industry? Yup. But what are their reasons for their low rates? Let’s look at that for a moment. Of the three categories above, I’d like to focus on desperate. Specifically, I mean financially desperate. Whether it’s to make a mortgage payment, a car payment or just put food on the table, many of the low-ballers in voiceover that I have met don’t have much money and aren’t sure how to make it. They cannot listen to nor hear a discussion about fair pricing in VO because they have significant money issues as well as an unceasing fear throbbing in their head that drowns out the discussion. For better or worse, that is their life situation. They are in survival mode, sometimes barely survival mode. Now, the harder edged me of some years ago would have told them ‘then maybe VO isn’t for you and get out of the business’ or at least get a second job! But watching and listening, I see how edicts and absolutes don’t fit each and everybody. So am I to stand on a rock looking down on these low-baller folks with a pointed finger and a booming voice, questioning their moral responsibility to their fellow voice actors about pricing if they can’t feed their kids because they lost a job by charging $50 more, just so it fell in line with industry standards? Short answer: no. Regarding the above statement, I will add here, lest you think I’m being accusatory, I do not believe Paul or many others would answer yes. In addition to the individual perspectives that I mentioned earlier, there are always individual situations. That’s why ethics and morality are necessary but they are soooo tricky. You gotta look case by case. Yes there ARE really sleazy individuals and companies in voiceover who undermine our professional standards, including rates. Those folks need to be publicly and frequently called out for their unprofessional behavior. Bang the drum, hand me a drum stick! But I cannot personally exclaim a universal moral decree that every voice talent must think of others (and fall in line) when crafting their pricing structure. If you need that, join a union, which is built on a national rate card! That’s a real benefit. My point is not every low baller is “a bad guy”. And beyond that, there are no simple or absolute answers. Having now attended two VO Atlantas, I am pleased to say that I believe this one was better than the last one. Better organized, better programmed and, not that they can control this aspect (and it’s completely subjective on my part) but their seemed to be a better mix of people. For me, the most impressive part of the programming was the list of producers, performers and agents organized by MaryLynn Wissner (pictured) of Voices Voicecasting. The talented folks, including Lori Alan, Scott Parkin, Jeff Howell, J.J. Jergens, Vince Lebica, Thom Pinto and Cissy Jones, were insightful, honest and (as I was fortunate to find out) fun to hang out with. 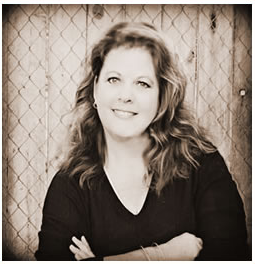 MaryLynn was working with me on coaching and my commercial demo when during one of my sessions she went over the list of people she had brought together for VO Atlanta. That sealed the deal for me. I won’t give you a blow by blow of what I learned because you don’t care – you go to conferences to learn what YOU want to learn, you don’t need to know what I needed to learn. Bottom line – I enjoyed it. The one problem I had with the conference was the fact that when the schedule was published on line, it did not have details on each presentation published with the time and date. In other words, you could read about the topic title, the who, and the when but NOT the what. A conference producer needs to demand of its presenters and a presenter needs to provide well in advance of his/her presentation an informative general overview of what they will be speaking about or what a panel will be talking about. People making a buying decision – like whether or not to attend a voiceover conference – need information. That didn’t happen the way it should with VO Atlanta. And that’s it. That’s my complaint. Now sit back and realize all the effort, time and details that go into planning such a massive event and you’ll realize that my complaint (singular) is valid but small compared to the big picture. Now you’re going to ask me if YOU should go to VO Atlanta next year. You’ll have to wait and see. A good conference this year or a bad conference six years ago doesn’t matter. It’s all about the programming. It’s the programming, when compared to what you need to learn to build your business, that should guide whether or not you attend any conference. Being seen, or just getting away or just hanging with your VO buds is nice — but it’s not a good business plan. Put it on your calendar, maybe store some cash away for the expenses, then look over the program when it comes out. You’ll know then whether the smart move for you is to pull the trigger or walk away. Only you will know. Only you matter when it comes to that decision. I prefer streets paved with gold. But life doesn’t usually let us win every voice-over job and so it went today as I was advised, “you were their second choice”. If you’ve been in voiceover for more than a day (and I’m not sure what percentage that is at the moment) you’ve likely been told at some point you were a prospect’s second choice for a voiceover job. If you’ve been up for a job in almost any industry, you may have been told you were a second choice. Well nothing really. The bus left without you so you need to see about getting a different ride. Sure, you can punch a wall or kick a dog (I’m personally OK with the wall option but not the dog…ever) but it doesn’t fix anything. The real answer is that if it festers too much inside you, you need to get mentally tougher or quite seriously quit the voiceover business. The voiceover business is a business filled with rejection. Which is why it’s so great when you do land a new VO job. 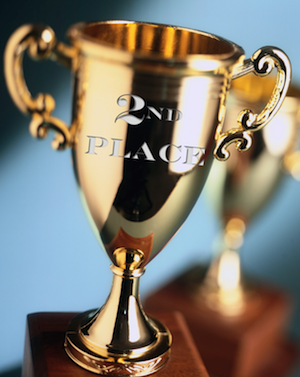 As Pollyannaish as it might sound, it is not a bad thing to come in second. First is best but third is worse. The point is your performance was really, really good. However, left up to the SUBJECTIVE (look it up) ear of a producer, they liked one other voice better. You cannot control that. No one can. So if you can’t get over learning you came in second on a voice gig after more than about a minute, start working on your resume because you will need to look for a new job. I mean it. Get out of voiceover, for your own good. Everybody else…move on. As I know you already have. Good job. And congrats on that audition…you truly nailed it.